Today on My Poetic Side we look at a letter written by Rupert Brooke that is going up for auction, and the proposed mine work to be carried out near the homestead of the late Dorothea Mackellar. 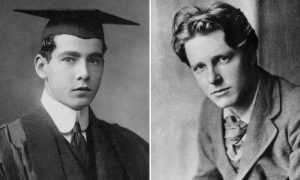 Previously unseen correspondence between the poet Rupert Brooke and a college friend is to be sold. The letter, which dates from 1907, sees the then 19-year-old Brooke telling his friend ‘I am sorry you have placed me on a pedestal’. The letter, which has never been published, was found in the archives of Ernst Goldschmidt, the friend to whom it was written. There were also two letters from Goldschmidt which were never sent and in which he tries to explain his feelings towards the poet. Brooke was residing at Rugby School where his father was a housemaster when he wrote the letter to Goldschmidt. The pair had met at Cambridge where Goldschmidt, who was born in Vienna, was studying classics. Goldschmidt remained in England after he completed his studies and went on to become a well-respected antiquarian bookseller, with a shop in London. On his death, the business was kept going by his partner Jacques Vellekoop. In 2007 Vellekoop passed away and the letters were found amongst his belongings. The letters are very typical of Brooke. His use of language makes it appear he is performing to an audience, trying to be overly clever. The letters are due to be auctioned by Dominic Winter Auctioneers on 13th December. It is expected that bidding will reach anywhere between £3000 to £5000. Whilst there has been one reference to the letter from Brooke in “Friends and Apostles: The Correspondence of Rupert Brooke and James Strachey”, the auction house believe that it has never been published. Letters written by Brooke are rare, so this one being put up for auction may attract some considerable attention. Residents of Gunnedah have been urged to get ready for a battle and try to protect the homestead of Dorothea Mackellar, the late poet who lived in the area. 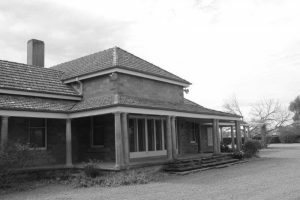 The residence that was formerly of the poet lies about 25 km outside Gunnedah. It is said that the homestead was the inspiration behind “My Country”, the famous ode written by the poet. The property is now the property of Whitehaven, who are proposing to make expansions to the Vickery mine which is just a a couple of hundred metres away. Locals feel that the house could be made into an attraction for tourists, and would be a great venue for fundraisers to take place, giving a great strength and sense of purpose to the region. Whitehaven have been asked if they would consider returning the homestead back to public ownership and whilst they have neither denied or confirmed that this would be an option, they did state that they understood its importance. They have been very quick to point out the distances between any of their proposed work and the homestead buildings.